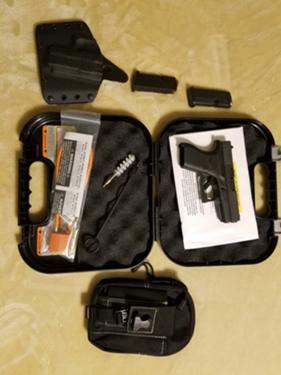 For Trade: TRADE OR FOR SALE... Glock model 42 in 380 caliber. Excellent condition. Looks like new. Includes a Kydex holster and a concealed carry pouch. Also 2 magazines and original case and papers. Text trade offers to 814 977 536two. No shotguns. Buyer pays transfer. Located in Schellsburg, Bedford County, Pa.